WEST PALM BEACH, Fla. — For the crowd of mostly baby boomers, who’d just finished their healthy lunch of salmon fillet on a bed of grains and vegetables, the warning could not have been more dire: You’re running out of time. “We can’t sit still. We don’t have the time to do that,” bellowed Bill Faloon, the 63-year-old former mortician addressing them from the stage. To his left and right, giant screens projecting government actuarial tables reminded the group of the “projected year of our termination.” Men of Faloon’s age could expect to die in 2037. Any 83-year-old women in the room? They’ve got until only 2026. STAT got an inside look at this $195-a-head symposium, held last month in this wealthy beachside community. 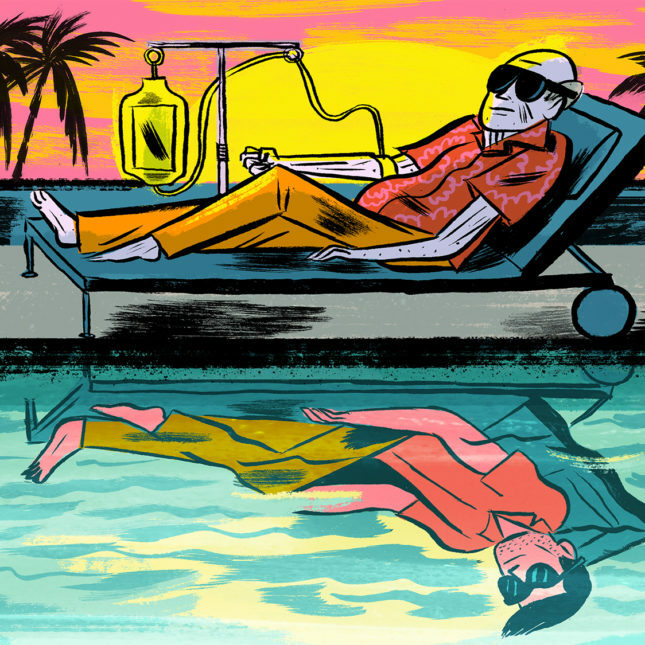 It offered a striking view of how promoters aggressively market scientifically dubious elixirs to aging people desperate to defy their own mortality. At STAT’s request, eight independent experts reviewed informational handouts about the clinical trial, and all sharply criticized the study’s marketing, design, and scientific rationale. Beyond the questionable science, participants have to pay big money to join the trial. Faloon, an evangelist of anti-aging research who cut a slim figure in his black suit and had the thick dark hair of a younger man, acknowledged during his talk that it would be “expensive” to sign up for the trial. People considering enrolling said they had been told they would have to pay $285,000. But the Florida physician running the trial, Dr. Dipnarine Maharaj, said the final price tag is still being discussed in consultation with the Food and Drug Administration and is likely to change. There’s long been a thriving market of supplements, creams, and pills that promise to forestall aging. But lately, big players and investors have also spotted an opportunity: Google’s parent company has invested heavily in its secretive anti-aging spinout, called Calico. A startup called Celularity last month raised $250 million to try to use postpartum placentas to delay the aging process. And a company called Elysium Health has rallied Nobel Prize winners to sell a $50-per-month supplement aimed at boosting levels of a molecule known as NAD+ that’s hypothesized to play a role in promoting longevity, though not without prompting rebuke from some prominent doctors. 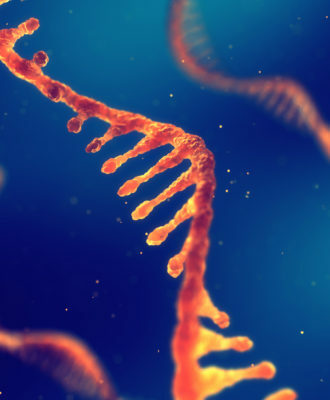 Lower-cost technologies and a receptive audience are expanding that economy, creating new opportunities for entrepreneurs to pitch everyone from Silicon Valley titans to middle-America retirees on unproven and costly services like banking stem cells and injecting hormones. Such services are often promoted at events that University of California, Davis, stem cell researcher Paul Knoepfler calls “infomercial seminars.” In January, for example, a company called Celltex Therapeutics pitched its stem cell treatments to would-be patients over wine and shrimp at a Houston hotel. 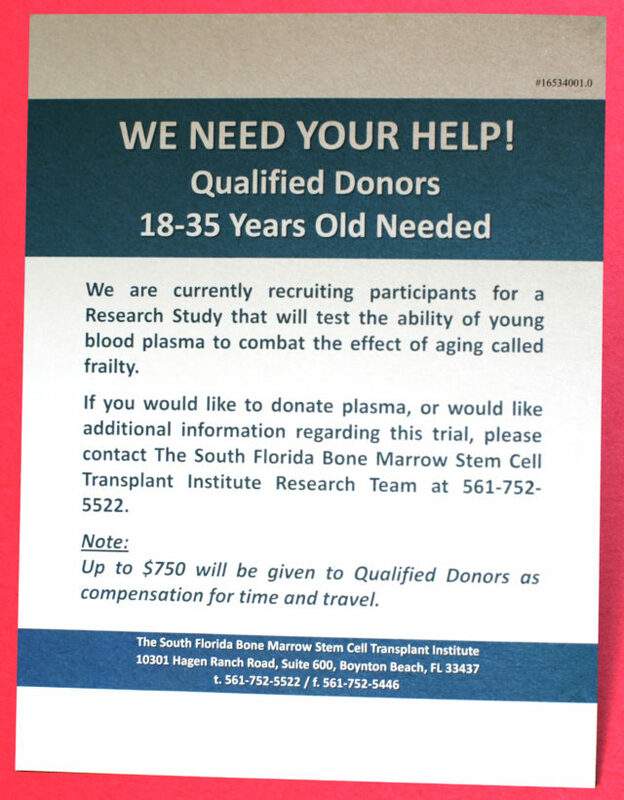 Then there’s the West Palm Beach symposium, held to recruit participants for a study testing what happens when aging people get infusions of plasma (the fluid part of blood packed with signaling proteins and other molecules but no red or white cells) from young people who’ve taken a drug meant to activate their immune system. Maharaj, a Scottish-trained hematologist and oncologist with a flair for salesmanship, plans to run the 30-patient trial at the private practice he owns in Boynton Beach, Fla. 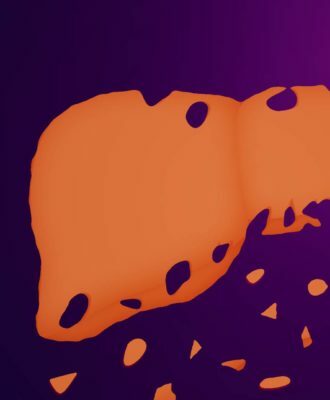 The study, which he describes as a Phase 1/Phase 2 trial, is a first-in-human test, which means that it is designed to evaluate only whether the experimental therapy is safe. But in his remarks at the symposium, Maharaj didn’t hesitate to make bold promises about what the treatment could do to ameliorate the frailty that results from getting older. “We’re saying that we will defy aging,” Maharaj told the crowd at one point. “We believe that this could benefit everyone who is here,” he declared at another moment. The experts consulted by STAT were dubious. Among their top concerns: Mixed but intriguing evidence in mice doesn’t yet justify testing this idea in humans, much less charging them a huge sum to sign up. And the study uses neither blinding nor a placebo group, design elements considered essential for rigorous medical research. Asked about the critiques, Maharaj declined to comment, saying he had been advised to wait until he releases more information about the trial. He suggested that publicity is already impeding his ability to move forward with the study. 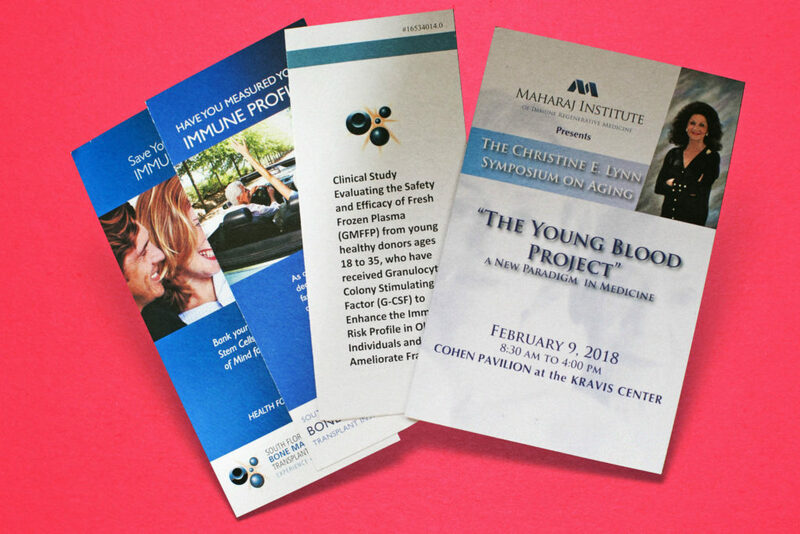 The “young blood project” symposium was gussied up as one of the dozens of galas that fill the winter social calendar here, with the pitch for Maharaj’s clinical trial artfully slipped in before the dessert of fruit and custard tart. It was held on a Friday in February, at a glitzy performing arts center overlooking a Hilton hotel and a Ruth’s Chris Steak House. Five fountains spurted from a reflecting pool outside flanked by palm trees. It’s about a 15-minute drive north of President Trump’s Mar-a-Lago club and some 250 miles south of the site of the conquistador Ponce de León’s mythical search for the fountain of youth, now converted into a tourist attraction and a wedding venue. We are living longer than ever. But are we living better? “Hopefully, one day we’ll be able to announce that Florida is truly the fountain of youth,” Maharaj told the crowd inside while he talked up his clinical trial. Maharaj — charismatic and impossible to miss with his tan suit, pink tie, and Scottish accent — was the star of the show. He darted from table to table, talking to so many attendees that he didn’t have time for lunch. And he left an impression: Without exception, attendees spoke glowingly about Maharaj in interviews with STAT. Maharaj has become a frequent speaker on the Palm Beach social circuit. Photos show him posing at Mar-a-Lago and shaking hands with the celebrity physician Dr. Mehmet Oz. 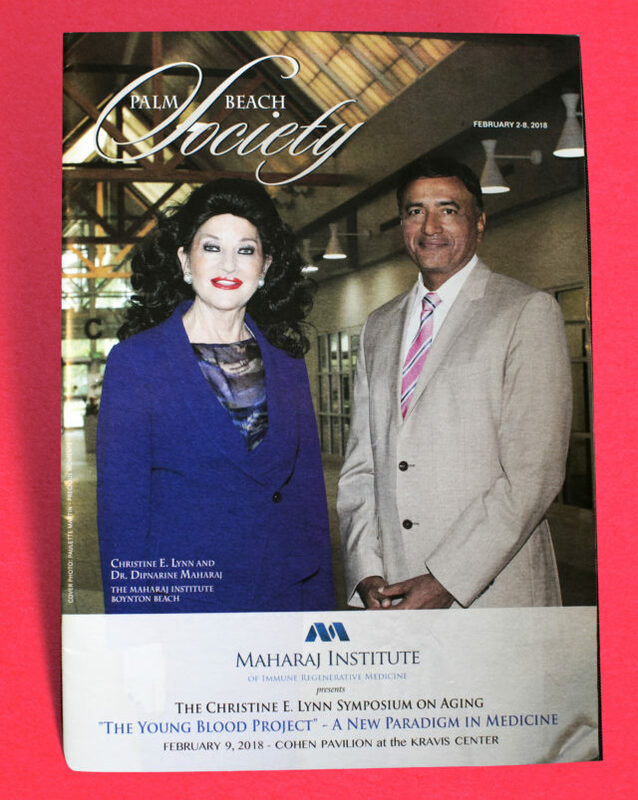 He was featured on the cover of Palm Beach Society magazine promoting the symposium. 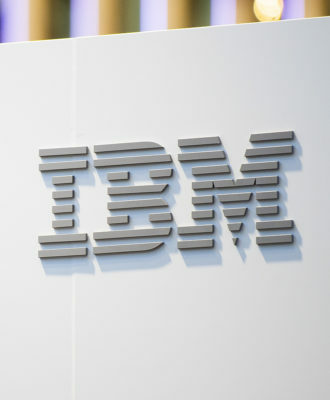 The attendees — dressed up in slacks, ties, and elegant pantsuits — were served food and drink throughout the day, beginning with made-to-order smoothies for breakfast and glasses of wine to cap off the afternoon. A rotating cast of a violinist, a harpist, and a pianist provided musical interludes between talks. Fresh white, pink, and green flowers decorated high tables, but if you looked closely, some of them were beginning to wilt. In interviews with STAT, the attendees complained about ailments that hadn’t bothered them when they were younger: Back problems. Bad hips. The aftermath of a stroke. Parkinson’s disease. Arthritis. Many of them voiced frustration with the medical establishment and pharmaceutical companies, which they said pay too little attention to fixing the root cause of disease. Others voiced fears of spending their final days hooked up to machines in a hospital bed. Asked about their plans for enrolling in the trial, surprisingly few among the well-heeled crowd said the cost was too high. But if the experience of Darryl Thompson, 73, and his wife Sherry Thompson, 71, is any indicator, it may prove hard for Maharaj to convince many of them to enroll. The Thompsons, who have three grown children and are both retired after careers in government, flew out to Florida from their home in Fort Worth, Texas, for the symposium. They were there because Darryl Thompson had made aging reversal research something of a pet project. He’d started taking many daily supplements and learning as much as he could after a series of health scares (high blood pressure, high uric acid, and an enlarged prostate for Darryl Thompson, and a diagnosis of congestive heart failure for Sherry Thompson). Sherry Thompson’s motivation for attending was simpler: “Quite frankly, I went because Darryl twisted my arm to go,” she said with a laugh. By the end of the program, Darryl Thompson was eager to enroll in the trial, but he knew he didn’t want to do it without his wife. And Sherry Thompson remained hesitant. She was worried about the money, and the time they’d have to spend flying back and forth from Texas to Florida once a month for a year. And she was nagged, too, by a sense that perhaps there’s a natural order to things. That perhaps we aren’t supposed to live longer than we already do. Experiments like Maharaj’s operate on the fringes of science, yet they have captured the public imagination. Young blood has become so alluring as a possible way to extend life that it inspired an episode last year on the HBO show “Silicon Valley,” in which an aging tech mogul relies on blood infusions from a handsome young man known as “an infusion associate.” Even the billionaire investor Peter Thiel is rumored to be personally interested in the experimental treatment. Maharaj’s trial wouldn’t be the first to transfuse plasma from young donors into older people. A biotech startup called Alkahest, spun out from a Stanford lab, reported results in November from a placebo-controlled safety trial testing the effect of plasma from young donors on 18 patients with mild to moderate Alzheimer’s. The patients who got the plasma didn’t suffer serious side effects, but the group didn’t see a statistically significant improvement in their scores on a widely used cognitive exam. Meanwhile, a company called Ambrosia recently completed a clinical trial that charged about 80 people over the age of 35 a sum of $8,000 to get an infusion of plasma from a donor between the ages of 16 and 25. 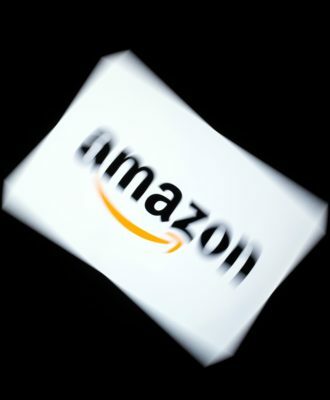 Ambrosia plans later this year to try to publish those results in a peer-reviewed journal, said Dr. Jesse Karmazin, the company’s founder. Maharaj and the experts consulted by STAT said that, to their knowledge, Maharaj’s trial will be the first to try a new twist on young blood infusions: injecting the young donors with a drug called granulocyte-colony stimulating factor, or G-CSF. To run his study, Maharaj plans to recruit donors between the ages of 18 and 35 and inject them with G-CSF and collect their plasma. In return, they’ll be paid up to $750. That plasma will be infused once a month for 12 months into the veins of the older clinical trial participants. Maharaj will enroll people who are between the ages of 55 and 95 and who demonstrate several indicators of frailty such as exhaustion and weight loss. To evaluate whether the experimental treatment is safe and whether it might be able to reduce frailty, Maharaj plans to run a battery of baseline testing on each clinical trial participant before they get their first infusion of young plasma and then monitor their changes for two years: That means cognitive exams, questionnaires about their quality of life and their indicators of frailty, and tests to measure biomarkers he believes are linked with aging, such as telomere lengths and DNA methylation. Maharaj said he didn’t use a placebo group in his study because it was too expensive and because he believes that the baseline assessment will allow participants to serve as their own control. He said that if his trial shows promising results, he’ll run a second randomized trial using a placebo. Maharaj has not published any animal studies testing the procedure he’s proposing to try in humans. He did, however, publish a paper last year documenting a study in which he infused three cancer patients with white blood cells from young donors who had been injected with G-CSF. The trial was originally intended to enroll 29 patients, but Maharaj did not answer questions about why the paper featured results from only three of them. Asked by STAT for citations in the published literature that provide the scientific basis for his new trial, Maharaj pointed to six studies. One was conducted on human cells in lab dishes. The other five were conducted in mice; they found that, after being exposed to the blood of young mice, old mice had less abnormal thickening of their heart, grew more nervous tissue, and saw improved cognitive function, among other changes. But the Harvard stem cell and regenerative biologist Amy Wagers, a co-author on three of the mouse papers, said in an email to STAT that she does not agree that her teams’ studies provide a scientific basis for Maharaj’s clinical trial. The problems are many: Young blood didn’t do much for old mice in other studies. Promising findings in mice are rarely replicated in humans. And the trouble with extrapolating so much from mouse studies is that “nobody has actually shown over the long term how long these quote un-quote improvements persist, and we don’t know whether it’s broadly improving aspects of aging or it’s specific to certain tissues,” said Matt Kaeberlein, a biologist who studies aging in dogs and other animal models at the University of Washington. 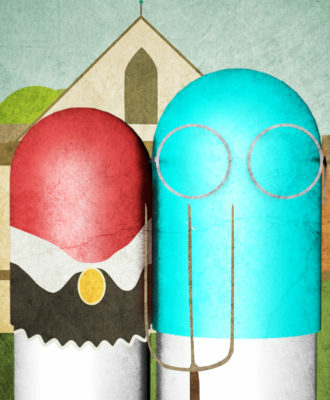 Clinical trials that charge enrollees to participate are ostensibly aimed at giving patients early access to promising therapies — often in the fields of stem cells or aging reversal — that are too unusual or have too little profit potential to get funding from traditional sources such as companies, foundations, or the National Institutes of Health. But critics worry that such trials too often exploit desperate patients, offering them false hope of restored health while doing little or nothing to advance scientific research. Maharaj said he spent three years seeking funding for his trial from foundations but couldn’t close a deal. He said he thinks he was turned down because his focus on attacking aging-related frailty was too novel and unfamiliar to would-be funders. At the symposium, Maharaj said that he had received the go-ahead to proceed with the study from the FDA and the Western Institutional Review Board, but did not provide the documents STAT requested to verify those claims. 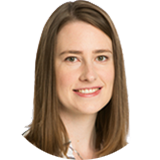 Lauren Smith Dyer, an FDA spokeswoman, declined to comment on Maharaj’s trial. In cases in which a clinical trial that’s regulated by the agency proposes to charge patients to receive an experimental drug or certain biological products, the sponsor must obtain written authorization from the FDA, Smith Dyer said. Maharaj’s study is not listed on the government database of human studies known as clinicaltrials.gov, though he said it will be registered on the site in the next few days. Faloon has become perhaps Maharaj’s most vocal cheerleader. He runs a group called the Society for the Rescue of Our Elders, meant to accelerate and raise funds for aging-reversal research, as well as an online business that sells “life extension” supplements. He has no formal stake or involvement in the young-blood clinical trial, but he’s promoted it heavily. In recent emails to the roughly 2,000 members of the society and a posting on the group’s website, Faloon wrote that enrolling in the study would cost $285,000 — in an effort, he said, to be transparent to people who couldn’t afford it. Faloon has long bristled at what he sees as excessive regulation holding back life-saving and -extending therapies. He has tussled in particular with the FDA, which in 1987 raided his supplement company’s warehouse, leading to an indictment for allegedly conspiring to import unapproved drugs into the country; the indictment was eventually dropped. Over the years, he’s opened what he’s called an “FDA Holocaust Museum,” which compared the number of needless deaths he believes the agency has caused to those caused by the Nazis, and a “Church of Perpetual Life” to proselytize his gospel of everlasting life on earth. When flying, Faloon used to lug a thermally insulated helmet in his carry-on bag that he’d put on during takeoffs and landings. The idea was that, in the event the plane crashed and burned, his head could still be salvaged and frozen. But he no longer takes his helmet on flights, he said, in part because he’s not sure it will actually work. The other reason? It’s too much trouble, he said, to get his helmet through airport security. the price of immortality…what would you be willing to pay ? Paying young donors $750./donation? Have we forgotten the days when blood from paid donors was known to be at increased risk of transmitting diseases such as hepatitis and HIV. In spite of current accurate testing methods, there will always be a risk, which is minimized in volunteer blood donations by asking prospective donors if they have engaged in behaviors that might place them at risk of acquiring such infections. Paying them $750. will most certainly induce some to conceal such behavior. Rather than prolong the lives of recipients this could shorten it. Monkeys with money and guns. In ” Good Lady Ducane”, by Mary Braddon, written in 1896 a physician attempts this very trial. Obtaining blood from young people who are in the ” position” to sell it to wealthy elders is corrupt, unethical and fantastic. The human life span is finite, acceptance is key to emotion health and life stage process. Certainly live your life as young as you feel, but vampires live in the animal kingdom and cautionary fables of individuals who lost their moral compass . Anyone who feels sure human life is finite needs to educate themselves, yet they act as though they’re educated about future lifespans, which will be healthspans. Anyone who doesn’t want to continue living in the future should be able to end their lives at anytime. after the big bang there were tens of millions of years of no light, until the first stars formed. Rebecca Robbins, you bring a lot of cynicism to the table. Rightly so. There’ve been shysters selling immortality snake-oil since the dawn of human history. But there have also been a lot of experimenters, and scientists. What Dr Maharaj is doing IS a step forward in that if he publishes sufficient data, people doing more rigorous science will be able to at least look at that data and use it as a kind of weather vane. You commented about exploitation of patients – “But critics worry that such trials too often exploit desperate patients, offering them false hope…” how is it false? Slim, slight, negligible, I’d grant you any of those, but unless the studies that Maharaj is basing his work on are proven wrong, *false* is dramatic overstatement. As to the people volunteering, they’re doing what they can – both for themselves and society. If you’ve spent time with the alert but incapacitated elderly; you’ll find they all reach an inflection point they’re either “ready to die” because their bodies are failing, or that they’re looking for any option. The fundamental underpinnings of both those states is that to them, life is not worth living in their current condition. And all but the most selfish would rather take a chance to forward science than to continue falling apart every day with no hope to contribute to humanity, or to improve their lot. People want to live longer, healthier lives? How about they eat healthy foods and exercise. To me, being skeptical of people spending hundreds of thousands of dollars on something that has no proven track record is a good way to look at things. YES. Ms. Robbins you nailed it.